In any other context, the self-covers album is fraught with the subtext that a performer’s out of ideas. 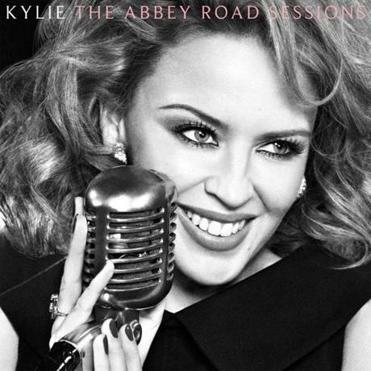 But “The Abbey Road Sessions” fits in neatly with Kylie Minogue’s ongoing celebration of her 25th anniversary as a pop star, looking back and reinterpreting select gems from throughout her career. Gone are the club-friendly gloss and beats, replaced by live, mostly acoustic instrumentation (including orchestra) that creates a palpable sense of physical space. A few songs thrive in new settings: “The Locomotion” reverts to its classic girl-group roots, murder ballad “Where the Wild Roses Grow” (with returning duet partner Nick Cave) turns darker, and “Confide in Me” induces shivers when Minogue whispers “Stick or twist, the choice is yours.” On the other hand, the original was shiver-inducing straight through, and “dediscofying” such mighty (overseas) hits as “I Believe in You” and “Come Into My World” into cocktail folk or Shirley Bassey nightclub soul turns them into trifles. It turns out, those songs really want to dance.